BEIJING (Sputnik) - China calls on all the member states of the World Trade Organization (WTO) to take steps in cooperation with Beijing to resist the protectionist policy implemented by the United States, the permanent envoy of China to WTO said Wednesday. On Tuesday, the Office of the US Trade Representative said in a press release that the United States was set to impose additional tariffs on around 1,300 Chinese products. "The list of proposed measures recently published by the United States is an intentional and major violation of the basic WTO principles. In the context of these wrong US steps, China is planning to resort to the WTO dispute settlement mechanism. At the same time we call on all the WTO member states to stand firm against the US trade protectionism along with China," Zhang Xiangchen said, as quoted by the press service of the Chinese Ministry of Commerce on its Weibo account. 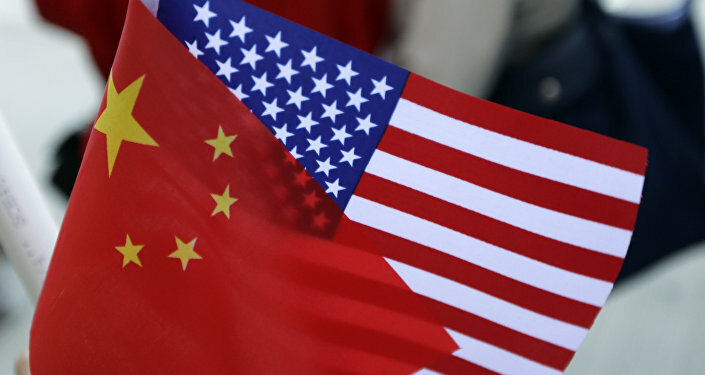 Earlier, the Chinese Ministry of Commerce stated that Beijing is ready to adopt "mirror-like" measures in response to the new US tariffs, saying that the concrete measures would be announced soon. Recently, China officially told the World Trade Organization that it would impose $611.5 million in tariffs on $2.75 billion of US imports as a response to the US tariffs on steel and aluminium imports announced on March 23. Meanwhile, Chinese Foreign Ministry’s spokesman Lu Kang said that Chinese authorities plan to resort to the dispute settlement mechanism of the World Trade Organization in order to find a solution to the ongoing Beijing-Washington tensions in the sphere of trade. "The activities of the US side have significantly violated the basic principles of the WTO. Against the backdrop of these wrong US steps, China plans to resort to the WTO dispute settlement mechanism in the near future," Lu said. According to the spokesman, the Chinese side strongly condemns the announcement of the tariffs.